I just got back from Pedu Lake, Kedah, Malaysia. Located up on the northern part of Peninsular Malaysia approximately 5km away from the Malaysia-Thailand border, the lake is easily accessible via well-maintained road. The 12km-long lake is part of the dense rainforest of Gunung Fakir Terbang, 6 1/2 hours drive from Kuala Lumpur via North-South highway (exit Gurun straight on to Sik then approx 7 km away, turn right to Gulam then left to Durian Burung and proceed to Seri Mahawangsa Pedu Lake jetty). Surrounded by clean water and serene forest, this is a good place to retreat your soul from the noisy and super busy city life. I am recommending this place to those who need a short break from the city life. The only place to stay here in the middle of the lake is at Seri Mahawangsa boathouse, yes on a boathouse parked next to a small island about 15-20 minutes from the jetty. So, you can choose to sleep on the boathouse or on a treehouse or on a hut or just on a hammock or in a tent, an eco-resort type of stay. Whatever your choice is the hammock is my best personal choice. I fancy quietness and this place is easily accessible and quiet. If you plan to spend your time just lazing around then I want to share a few tips on how to enjoy “the luxury of just lazing around” in Tasik Pedu. This group of Cicadas or riang-riang (in Malay) would sing together at some odd times, a few times a day. Their buzzing sound that echoes throughout tree branches in this tiny island in Tasik Pedu (Amir called it the Survival Island) is phenomenal. And you will notice their orchestra performance played as a background song in the island. Their music sounds louder than normal maybe because of the echoes. Secondly, swimming with the Lampam fish around the boathouse. Swimming during a hot day is heavenly. Swimming in a pool or at a river or at a beach is different from swimming in a lake. There is abundant of fresh clear water around you. Yes, swimming in a deep lake feels different. During a hot day, the water inside the lake feels colder and warmer at the same time. Very therapeutic. But please be caution on your safety. I put on my life jacket all the time when I am in the water. And I was in the water for hours. Canoeing and swimming … just enjoying the sun and the water at the same time. Yay! we have a full-time chef at the boathouse. He cooks all the time. Yes! he is a he. I was well fed all the time. After having my rice with masak lemak ikan baung (fresh water fish in coconut milk) I feel … d r o w s y. Not much thing to do as it is super hot during mid-day. Lazing around in my hammock under the tree with all the leaves hanging out is a perfect thing to do. Sleeping … to be precise ☺️. Embracing the lazy moment without guilt. Wahhh … I am happy. Fourthly, watching the movement of the light and the clouds from the boathouse. After a few boat trips circling the lake and enjoying the vast natural landscape surrounding Pedu Lake, a quiet time while watching the sunset is my next lazing thing to do. Sitting with your loved one while watching the change of colour on the horizon is romantic. Hmm feeling lazy together with your loved one is classically romantic. It makes me thinking of the Creator that creates all of these beautiful things around us. A moment to just be connected to the Creator and appreciating His greatness. Feeling blissful to be able to just sensing His existence through the beauty around us is an amazing feeling. Alhamdullilah. There are a few treehouses that you can choose from. And hanging out in my hammock with my favourite book while listening to the sound of the forest at night is cool and peaceful. Just me and my own world. I would never get tired of this. Conclusion: All of us need to have a quiet moment with ourselves. To feel comfortable and peaceful being with ourselves. To feel at peace with ourselves. Although I don’t mind being on my own but having a person or two that have the same quiet mind as I am, hanging out with me is always welcome. How do you prefer to spend your quiet moment? Share with me and leave your comment below. I learnt from observing and listening to people around me, therefore most people that I met are my teachers and mentors in their own way. Yup … a bit cliche, I know but well … a lazy middle aged woman like me doesn’t have much time to spend on trials and errors 🙂 . I have been following Yaman Ibrahim for closed to a year now. Observing and learning from him, a great teacher who loves doing whatever that he is doing. He has that eyes for spotting good lights around him … he called it “Yaman’s Eye”. By all means … the “good light” in photography yeah peeps. Not that near to death moment light or that spiritual spotlight or that seeking the light aka mysterious haunted light thingy huh. So, I spent a ‘rich’ 3-days with him and a group of great companion at Pedu lake, Kedah, Malaysia last weekend. We were ‘chasing the light’ around the lake. Good light that can creates a sense of drama to our subject. Yaman has been working closely with tourism Malaysia for years. 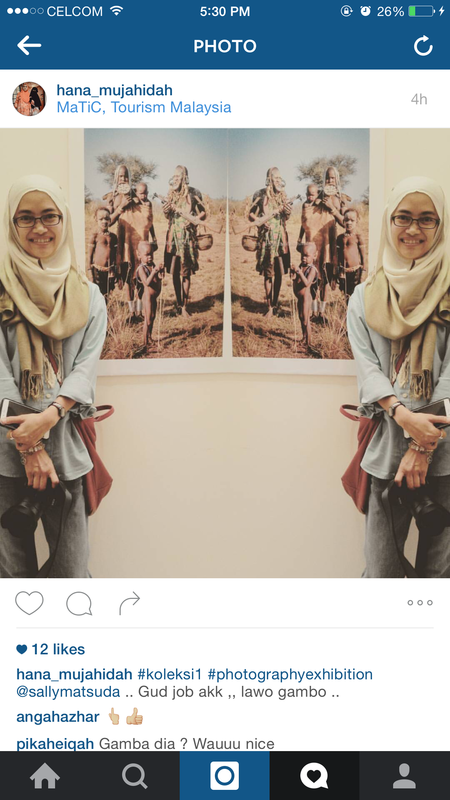 He has the experience and opportunity to explore Malaysian culture more than other photographers that I know. Looking at his photos made me longing for the same opportunity to shoot and document my own home culture through my own lens. Sharing some martial art moves from the boys of Silat Gayung Nusantara Kedah with y’alls. Fyi … I got a lot more interesting shoots around here in Pedu Lake but well, every picture has its own moment. So, I had my first opportunity to shoot subjects that close to my heart. A traditional action-packed Malaysian Malay martial art. The morning light and the rays were superb. I was enjoying my moment. The backlight from the morning sun rays were a bliss. There were 10 of us … photographers from various genres. And listening to our camera shutters sound at the highest possible burst rate, at the same exact time … was interestingly comical. I had a good time while in here. It was super quiet … no phone coverage, no wifi, no TV … a total disconnected from the noisy life. And, having surrounded by a great companion was a bonus too. The owner of the boathouse is a very talented host. He is the boatman, the cook, the wireman, the karaoke man, the technician, the talent etc. Yaik … talking about him … I still owe him a collection of his portraits. If I was not holding my camera … I would either chewing on food or daydreaming in the hammock … enjoying my quiet moment, snoozing. My companions were as noisy as always hu hu hu yep! a very cheerful and lively crowd but my mind was at peace … alhamdullilah what matters is the heart … right? There is always a first time to everything … and, this is my first time joining a photo exhibition. It is an honor to be selected as one of Yaman Ibrahim & his Mutual Friends #Kolektif 1 photo contributor. Yaman Ibrahim is a very talented and famous photographer here in Malaysia. A simple, humble and down-to-earth artist that I find easy to work with. 28 photographers (from Malaysia and Brunei) exhibited 78 pieces of travel photograph around the world during the exhibition period. Do come and have a look at our photos on display at MaTIC Kuala Lumpur. Admission is free. Honestly, I felt weird seeing my own photos on display and a bit awkward when people start to ask questions. Reason being … when I shoot my photos I was totally in my selfish mode. I love the moment and I wanted to capture and keep the moment to myself. I want to look at my photos and be reminded of the feelings that I had while capturing those moments. And this is totally new to me …well, there is always a first time to anything, right? But, seeing it being printed and hang-up on the wall triggered an excitement in me. I want to have more and more of my photos printed out on beautiful papers for my personal keeping or maybe once a while I want to share it with public through photo art galleries. I want to be an artistic photographer … a fine-art photographer maybe. Hmm what a dream huh? And, these are my photos exhibited during the photo exhibition. I learned a lot from this experience and I need to reassess my photography direction … again and again. So much to learn, so little time. Ok. I gotta go now. Need to pack my gears (and my crazy COURAGE) for my next adventure 😛 , a cross-country (xc) expedition via paramotor ride from Tok Bali, Kuala Besut, Terengganu to Batu Buruk beach, Kuala Terengganu. It is going to be a long ride … will update the outcome here for sure. Bye now ….